After sifting and editing 600+ images, organizing our travel itinerary and missing London dearly, I'm so happy to (finally) share this much-anticipated London Travel Guide with you all! 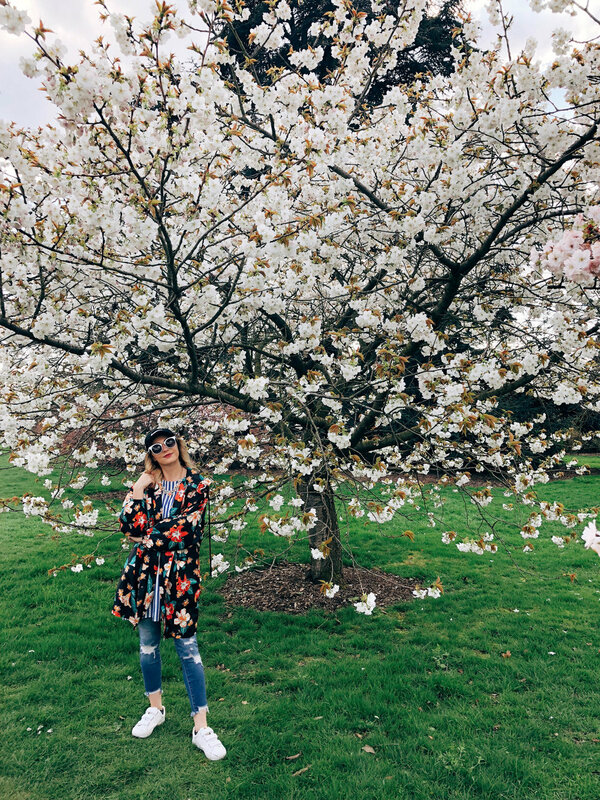 Tristan and I visited London in April for a week -- I had originally surprised him with tickets to a Spurs football match so we decided to make a trip out of it and explore all that London had to offer for our 6 day trip! It was my first trip abroad and Tristan's first time exploring London beyond the airport so it was a new adventure for the two of us and one I wouldn't have wanted to do with anybody else! This post includes our 6-day itinerary and highlights: things to see/do, where to eat/drink and other travel tips. I hope you find my travel guide helpful as you plan your next trip to the magical city of London! When traveling from Seattle, you lose a day when traveling to London. I highly recommend (if you have the choice) to purchase tickets that get you to London in the morning so you have that first, full day to explore and combat jet lag. Because we lost a day, we only had 6 days to explore, so we wanted to make the most of it while we were there! I had read on several blogs before our trip to purchase London Passes and I have to say, it's the best purchase we made! We bought the 3-day passes online and used the app during our trip and it allowed us to see and do much in the three consecutive days we used them. It was definitely worth the investment to see all the standard tourist attractions. It also allowed us to skip ahead in line and avoid any extra fees. Note, the pass must be used in consecutive days -- so for our three day pass, we had to use them three days in a row, so plan your trip accordingly. 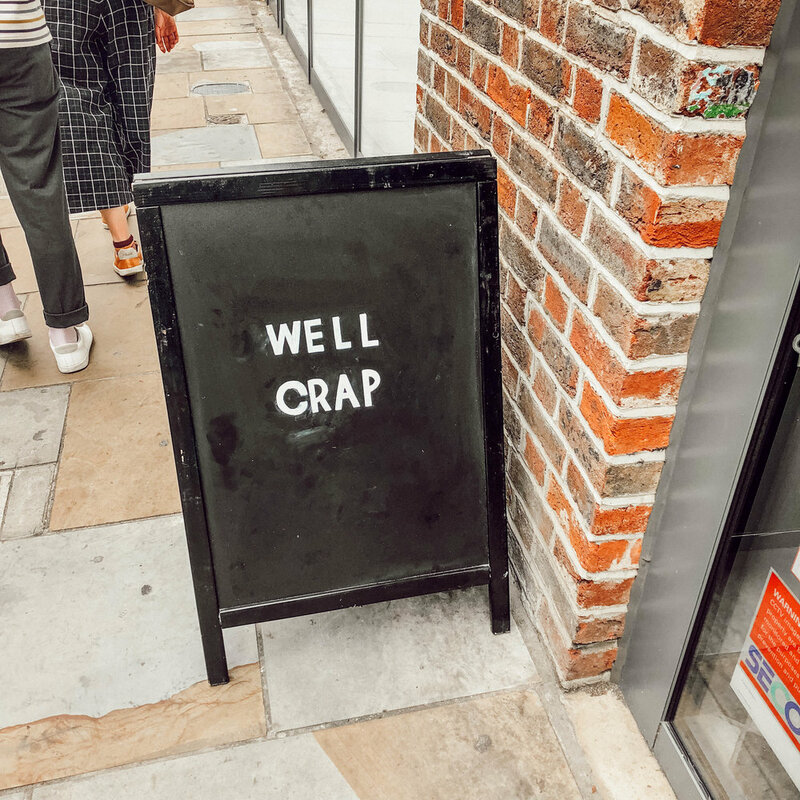 We knew so many people that recently traveled to London so we cross-referenced their recommendations with our list of things we wanted to see and do. I pulled together an itinerary of our 6 day trip grouped by neighborhood/what was close to allow us to tackle as much as we could in the amount of time we were there without zig-zagging all over on the tube. I'm telling you, Google Maps is your best friend for the pre-trip planning. It's amazing how much $ you can save when you fly in and out of Canada for your trip to London. We flew Air Canada and left from Seattle > Toronto > London and flew back from London > Vancouver BC > Seattle. We ended up saving close to $150 on the way home. The Oyster card is your travel card to get around the city on buses, the tube and the train (some). Tristan and I purchased two 6-day Oyster cards when we arrived at the Heathrow airport in London and these cards lasted us our entire trip! And we used them multiple times a day to get all over. Highly worth the investment since public transportation is your best friend in a city the size of London. Instead of getting $ before our trip from the bank, we decided to wait until we got to the London airport to get cash out from an ATM. You can do it before your trip if you prefer, but we didn't have issues waiting until we were there. 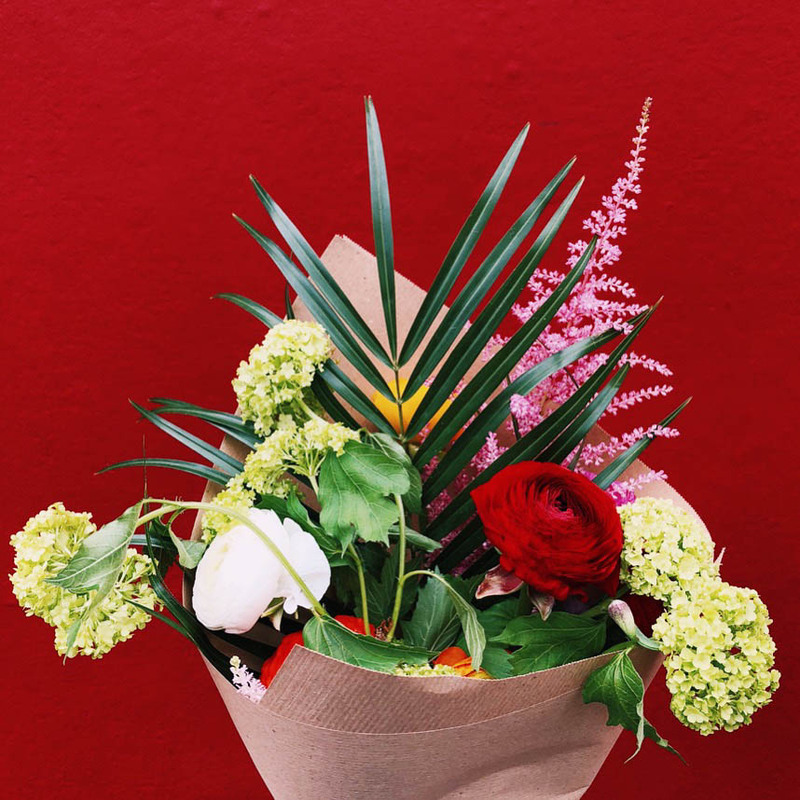 I recommend exchanging at least $200 to have on hand for tipping and if you want to avoid the hassle of extra card fees (check with your bank before you travel to determine what fees apply when using your card abroad). 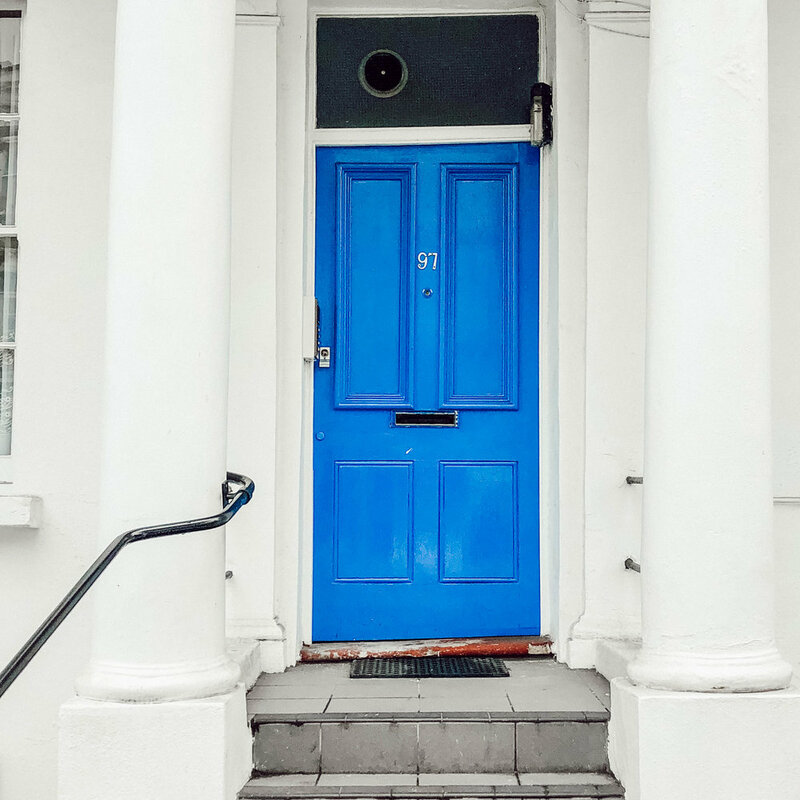 Notting Hill, the scenic district in West London with so much to see and do! 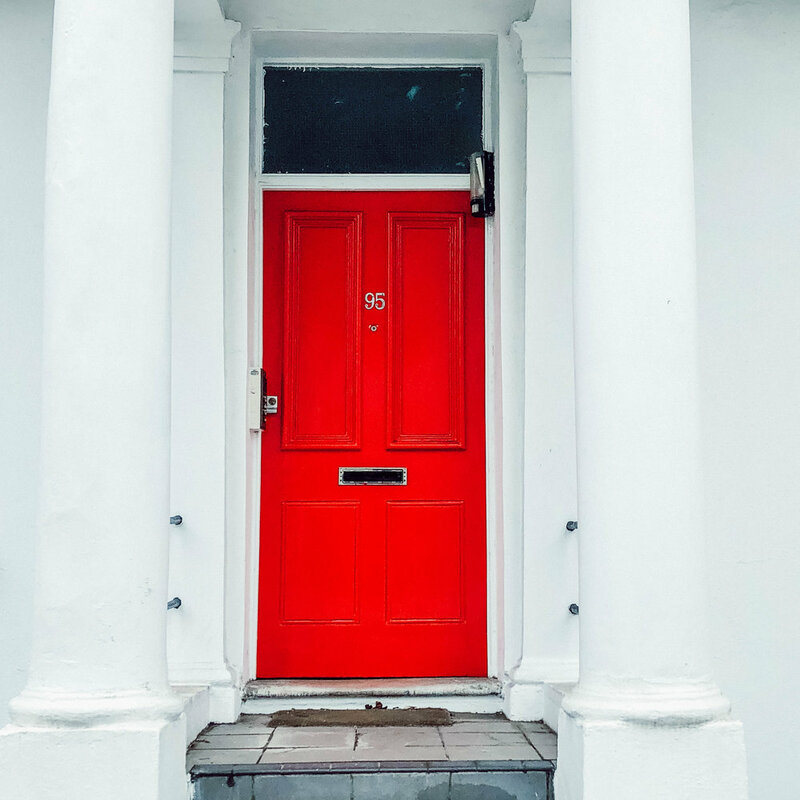 We opted for Notting Hill because it felt very central to everything we wanted to do but also felt safe, walkable and a little more residential so we could rest with little noise at night. We scored an awesome loft via Airbnb that was the perfect size for the two of us and all our belongings for the week-long stay. It was a 5 minute walk from the tube and close to lots of eateries, shops and sights. I'd highly recommend staying in Notting Hill if you're looking for a district with lots of character and close to public transportation. We arrived to London early in the morning and knew we wanted to fight off jet lag as much as we could. So we took the tube to Notting Hill to eat and drop off our bags. We decided to start the day off with brunch at Electric Diner in Portobello and only a 15 minute walk from our Airbnb. The streets are lined with the most beautiful and colorful houses I'd ever seen! It was so dreamy and overwhelming -- I couldn't stop taking photos on our way to brunch! After brunch we dropped off our bags at the Airbnb and decided to stay awake and stretch our legs by exploring our neighborhood of Notting Hill. We spent hours taking photos, exploring the streets lined with beautiful houses and admiring the architecture and beauty that makes up this unique neighborhood. We opted for a fairly chill first day because we knew we'd be ready to crash early that night! After exploring, we stopped for a little coffee/matcha break to give us the kick we needed to make it to our dinner reservation at Guste Remo (a quaint and yummy italian spot in Notting Hill). Brunch at Ivy Chelsea Garden. I highly recommend making a reservation, even though we went on a weekday, it was packed! The atmosphere is beautiful -- a floral arch greets you at the exterior of the building and inside is a stunning dining room with an open garden room. We indulged in breakfast smoothies, coffee, scrambled eggs and the pancakes. The perfect way to start our first (official) day in London! Afternoon tea at Sketch. This was at the very top of my London list! In fact, I booked reservations a month prior to us leaving for London (they book out far in advance, so I highly recommend planning accordingly!) 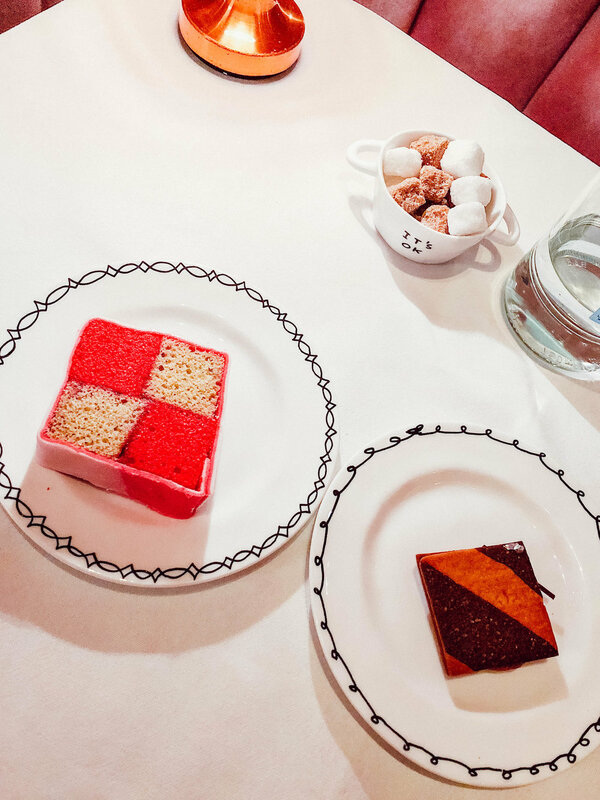 You've probably seen this pink Instagrammable restaurant all over Pinterest when searching for top spots to visit in London. Pictures don't do it justice, you have to go to experience it for yourself! 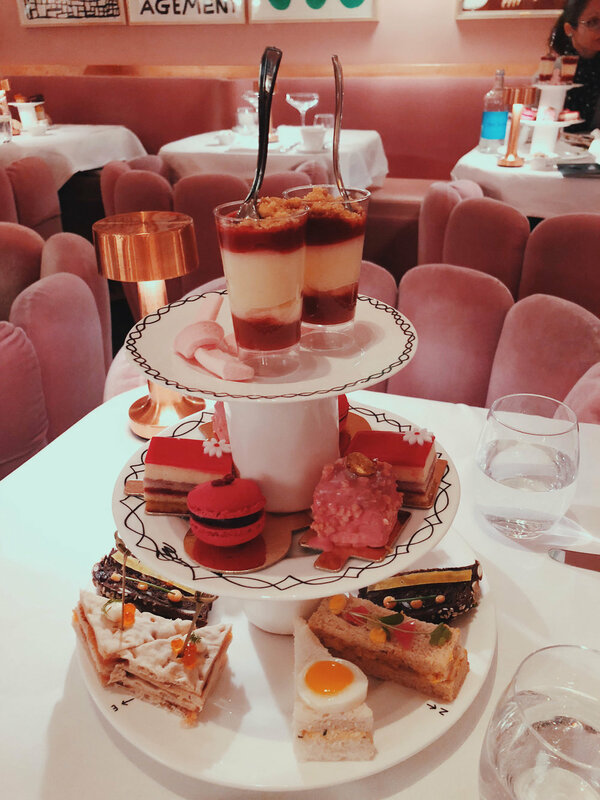 One thing I didn't realize about afternoon tea (I'm a coffee girl, sue me), was that it's a big ordeal -- typically three to four courses with one to two different pots of tea....and it can get pricey. Sketch is no joke, you are there for a four course tea and while it doesn't break the bank, it isn't cheap. But, you're paying for the atmosphere: quirky posters, the velvet pink upholstery, the waiters in top hats and the petit fours. I wouldn't recommend getting brunch before going to Sketch. We were already so full when we arrived (anticipating we'd only be drinking tea) that we had to muscle through the courses. But, it was all part of the fun! Also, be sure to stop in for a bathroom break after or during your meal. You won't regret it. The rainbow ceiling and egg-shaped toilets take you into a different world, literally. St. Paul's Cathedral. 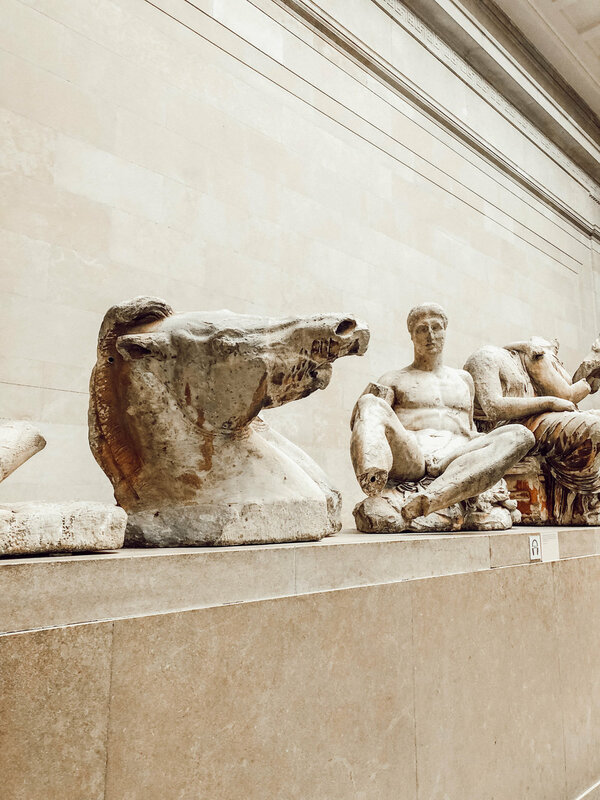 Inclusive with our London Pass and a must-see. 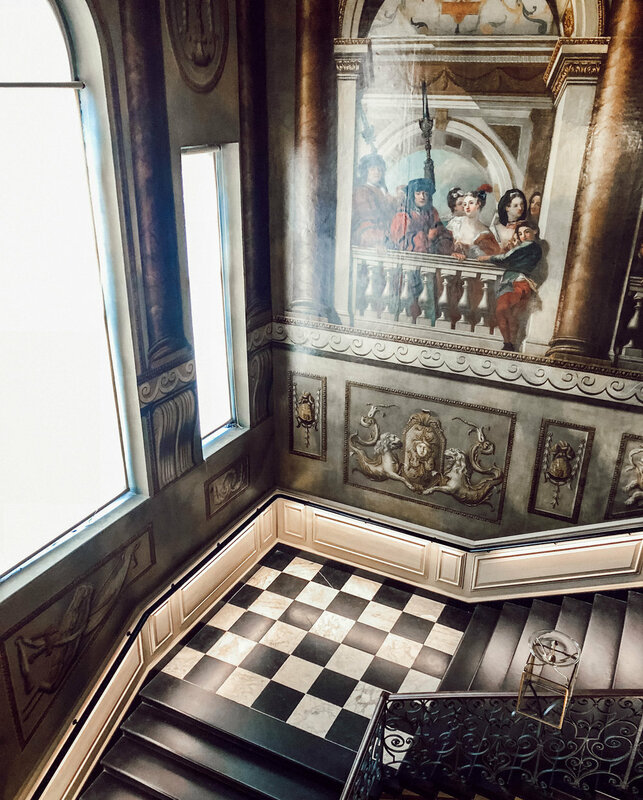 Filled with history and a stunning interior/exterior. Open 830am-430pm Monday-Saturday, be sure to go before 4pm otherwise they won't let you in. Tate Modern: Inclusive with our London Pass. We walked across the Millennium Bridge to soak up the sights and visited Tate Modern museum, one that has been on my list to visit for so long! It was amazing to see so many beautiful exhibits on display. Beverages at Bourne & Hollingsworth Building. We wanted to stop by somewhere fun for drinks so I made reservations at the B&H Building. It's one large building with various dining options inside. We opted for the bar that was next to the garden room (for pictures-sake) and enjoyed a yummy meat/cheese board and beverages. Pub for dinner. We opted to stay local for dinner that evening and chose a pub that was walking distance from our Airbnb. We were clearly hungry since we have no photos to document our amazing meal but I can't recommend British fish & chips more when at a pub! They practically serve you an entire fish! It was the perfect comfort food to end a busy day full of exploring. Brunch at Granger & Co. Because we had tickets to the Design Museum, we wanted to stay fairly close to the museum for brunch. We opted for a local Notting Hill recommendation: Granger & Co. They don't take reservations so it's all about waking up early and grabbing a table at this Australian-inspired hangout! Design Museum. 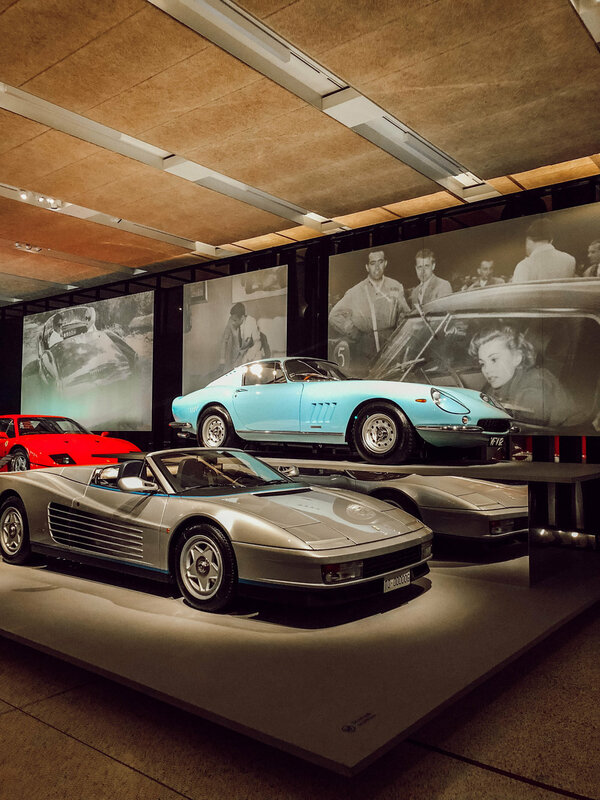 After brunch we headed over to the Design Museum where Tristan had purchased tickets in advance to the Ferrari exhibit. 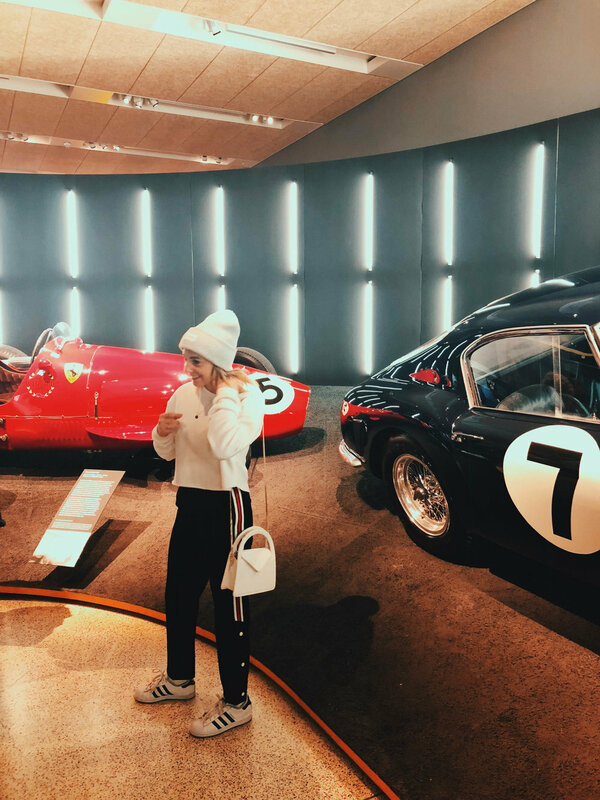 We had our London Passes to use for entry into the museum on top of meandering through the incredibly done Ferrari exhibition and several others! Kensington Gardens / Palace. Because Kensington Palace was so close to the museum, we decided to walk through the gardens to get there! The palace itself is filled with so much history it's incredible to step foot inside and on the grounds. 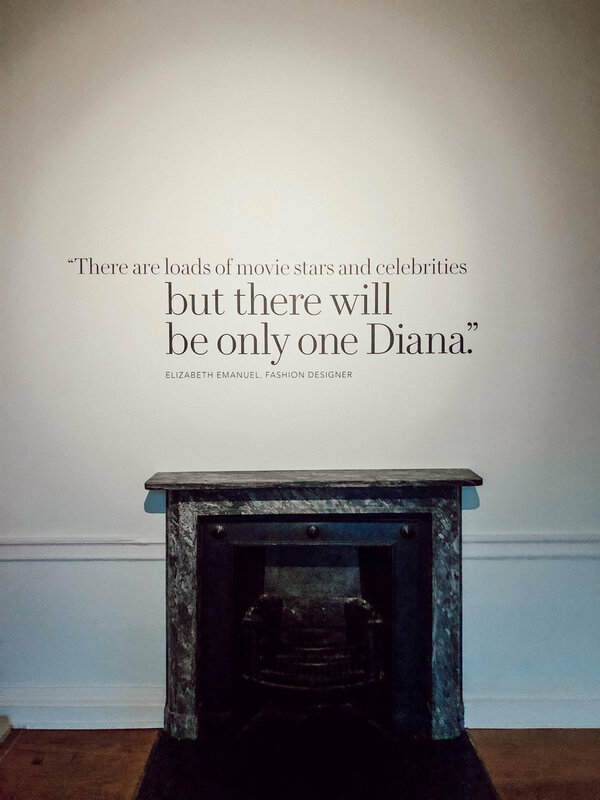 The palace was also inclusive with the London Pass so we were able to tour the inside as well as Diana's exhibition featuring her stunning dresses and accessories -- I got all teary-eyed reading quotes about her and learning more about the impactful woman she was and is to this day! Harrods. After the palace, we walked over to Harrods, a department store that takes up an entire city block and is filled with stores selling just about everything! It's a bit overstimulating but a must-see while you're in town. I should also mention Tristan and I stopped off for lunch at a pizza kitchen inside and agreed we had the best bruschetta we've ever had! Peggy Porschen. I think I used jet lag as my excuse to visit just about every single floral-covered coffee shop I could find. But Peggy Porschen was on the top of my list. 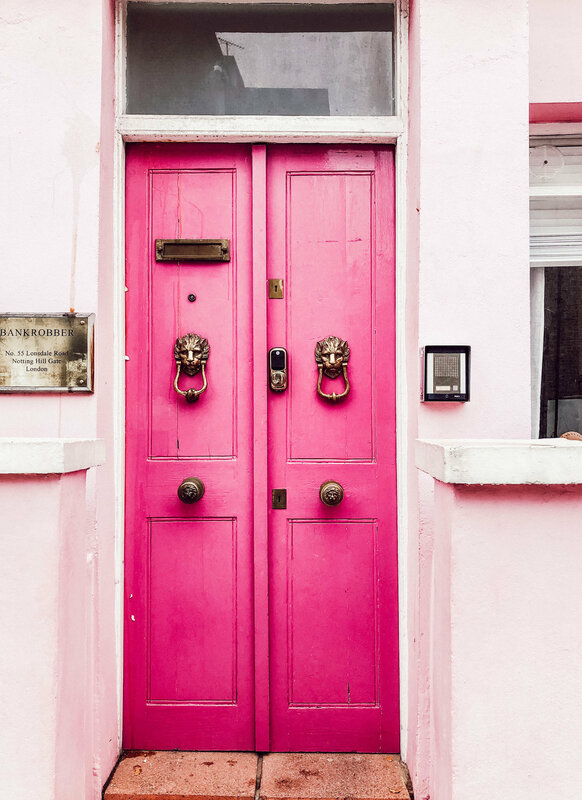 I mean, who can resist a pink exterior covered in florals?! I couldn't. The line for a table was endless, so we opted to grab macarons and coffee to go. But I was still able to capture a few snaps of this gorgeous spot. Covent Garden and dinner. We wanted to visit another district before ending our day, so we hopped over to Covent Garden. It is a very popular district for shopping, grabbing a drink or food - lots of foot traffic! But we were able to get reservations at Masala Zone, a highly recommended Indian restaurant. We had a delicious meal in the dimly lit, eclectic restaurant filled with Indian puppets. I recommend sharing, their portions are large! 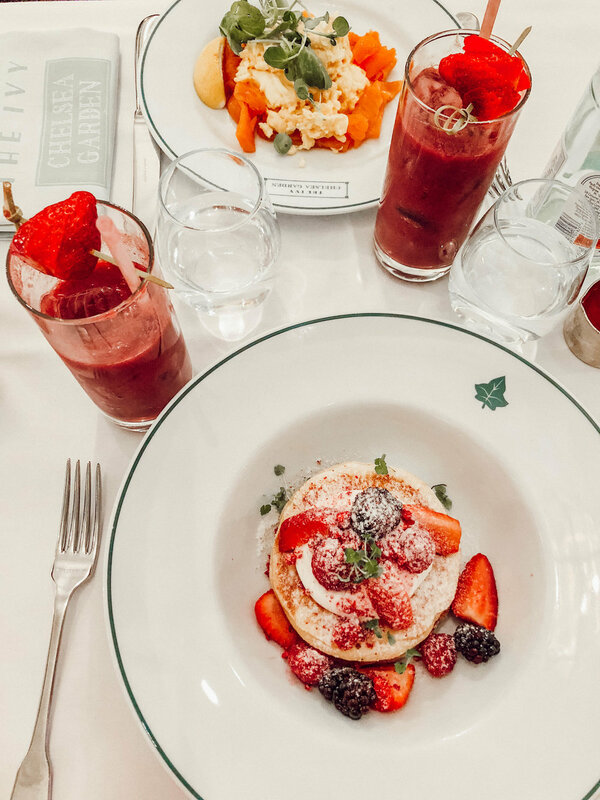 Brunch at Dalloway Terrace. 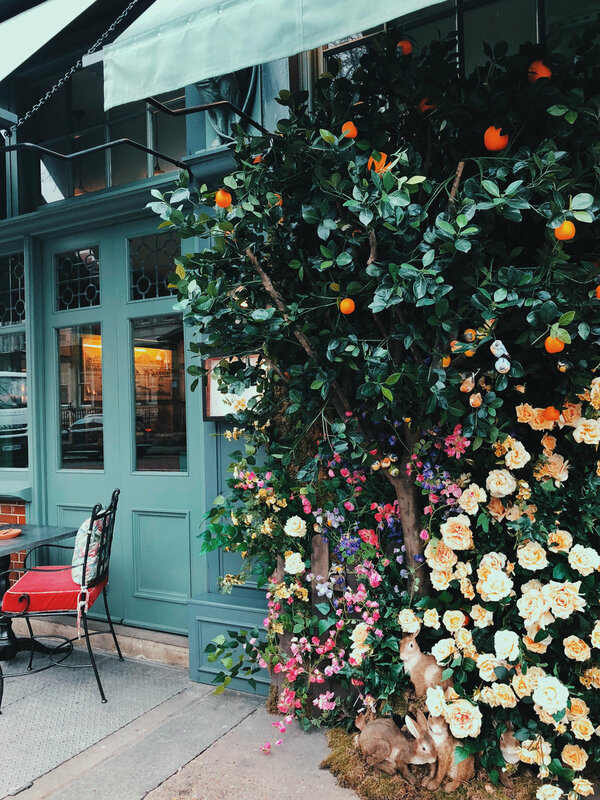 A highly recommended breakfast spot with an outdoor terrace covered in striped canopies and flowers. I mean, come on. I opted for the acai bowl and a breakfast smoothie, both great choices. Definitely get a reservation, they get packed, even on weekdays. British Museum. After brunch, we walked over to the British Museum, also inclusive with our London Pass. The museum opens at 10 and I recommend getting there close to opening time to avoid afternoon rushes. I also recommend taking a look at the map to see what exhibitions catch your interest. 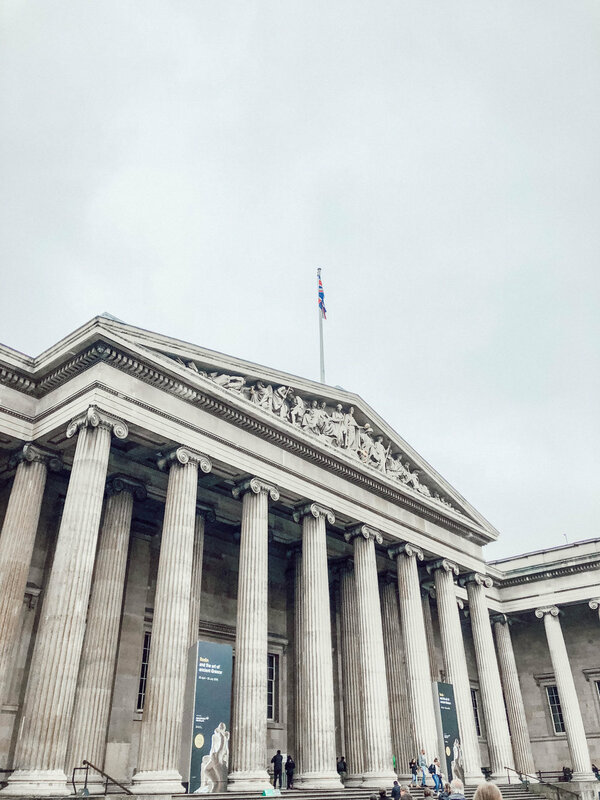 The museum is HUGE and could easily take a whole day to get through, so if you're like us, and just looking for the highlights, have a plan of action. 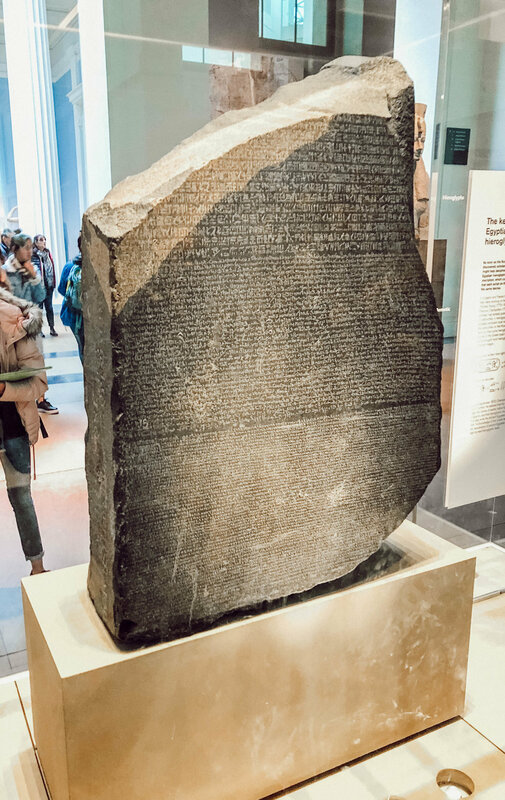 Our priority was The Rosetta Stone, the rest of the exhibits we walked through pretty quickly but it was still fun to see. Westminister Abbey. After seeing what we wanted to see at the British Museum, we headed over to Westminister Abbey. It's also inclusive with the London Pass. Keep in mind, the Abbey is closed on Sunday's and the last time they let you in is at 3:30pm, so plan accordingly. It's such a stunning piece of history to see and experience, I highly recommend adding it to your travel itinerary. Buckingham Palace. 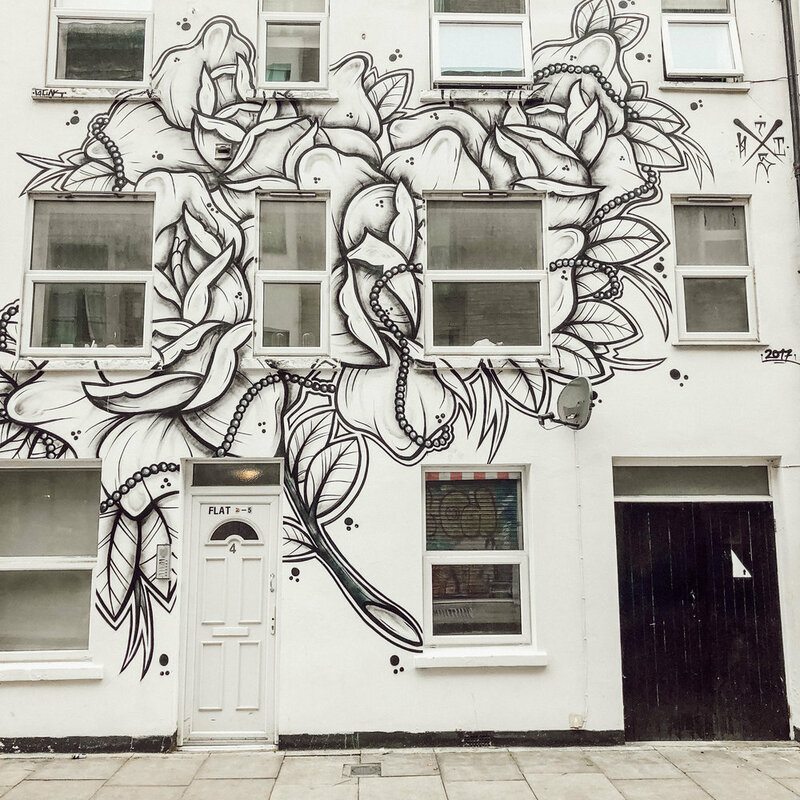 A must-see for anyone passing through London. It's such an astounding piece of history and it's fun to see the guards out front. We managed to go when the changing of the guards wasn't happening (which I recommend) so it was far less chaotic and easier to get up close for photos. The Shard. Right across the street is The Shard, the tallest viewpoint in all of London. Also inclusive with the London Pass. As someone who is not a fan of heights, I had to muster up the courage to go up to the top. But once we were up there, it was worth the nerves. Panoramic, 360-degree views on our clearest day to see the entire city. We really lucked out! You can also enjoy drinks at the bar on the top floor. It's a hard view to beat! Tower Bridge. As we were walking back to catch the tube we passed the Tower Bridge and realized it was also inclusive with our London Pass. Since this was our last day using our London Pass, we figured, why not! We stopped inside for the tour and walked across the glass walkway. It was a fun and quick tour of an iconic piece of history in the heart of London. Royal Kew Gardens. 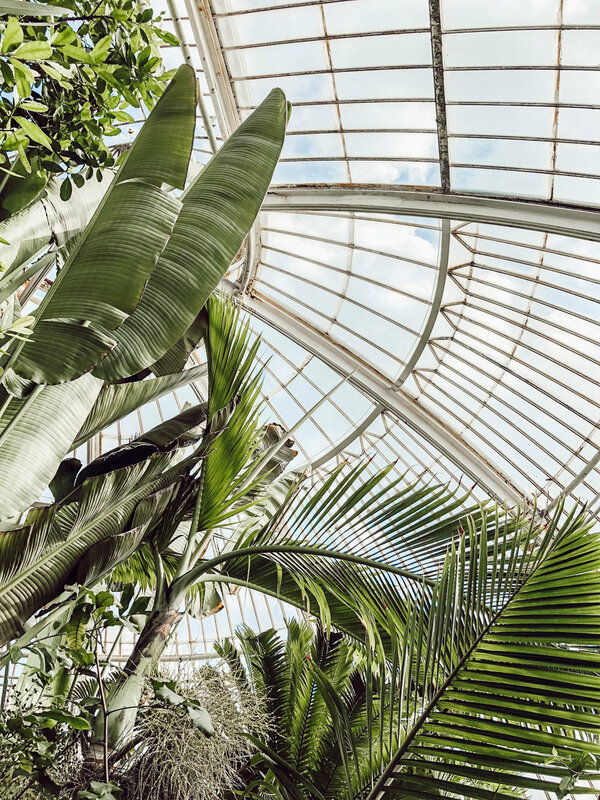 Because we were heading out from the heart of the city to the stadium for the football match, we decided to stop off at Kew Gardens, on the way. It was a beautiful sunny day and perfect for viewing the grounds and the greenhouse(the oldest greenhouse in the world). It costs $ to get into the gardens, so be sure to have cash or your card on you. The grounds are huge and picturesque. You could easily spend an entire day there! Wembley Stadium for a soccer match. My favorite part about going to the stadium was seeing how excited Tristan was! I was so glad this ended up being a successful birthday present. We had killer seats sitting dead center in the middle of a gigantic stadium! Despite our team losing, it was still a day I don't think we'll ever forget. LAST DAY. 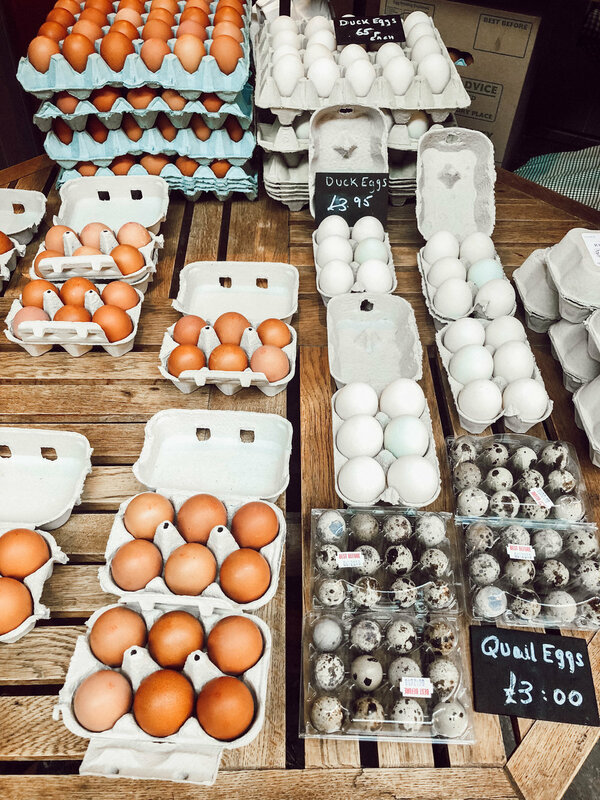 DAY SIX: Market day. Brunch at Ffionas. Sunday was our last full day and evening in London, so we wanted it to be a fun and relaxing one! We started off our day with brunch at Ffionas, a highly recommended eatery in Notting Hill. Super local to where we were staying and worth the hype! Columbia Road Flower Market. Everyone recommended visiting this flower market on Sunday morning to see the sights. While it was beautiful and located in a vibrant neighborhood, if you are extremely claustrophobic, I don't recommend this market for you. You meander down a narrow street with vendors on either side and a lot of commotion. 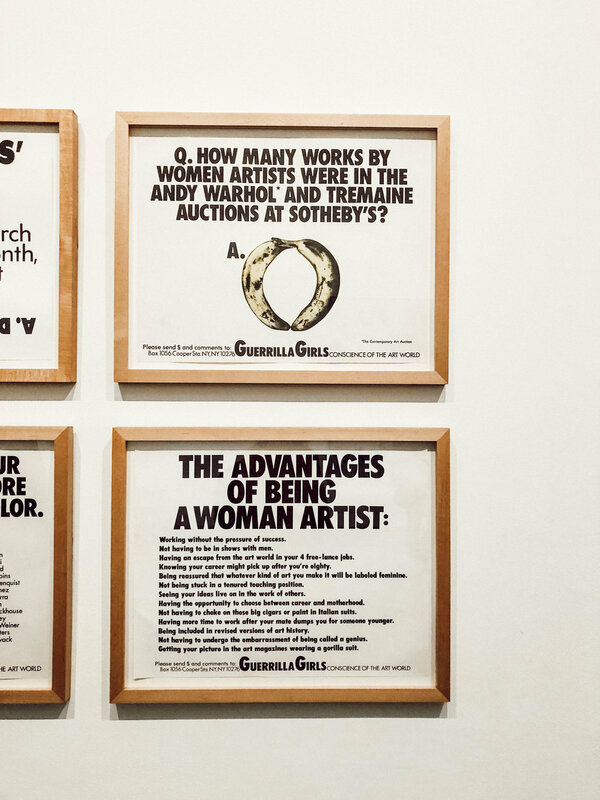 We stopped off in galleries and stores along the way to avoid some of the craziness. Shoreditch. If you're familiar with Seattle, it's very similar to a Capitol Hill. Artsy, hip and a little edgy. We shopped and explored our way through this funky district to end our day of exploring before catching the tube home to Notting Hill. We ended our last day with packing up our bags at the Airbnb and stopped off for dinner in Chelsea, at a local Italian restaurant where we stuffed our faces with pasta, pizza, bruschetta and a delicious desert before calling it a night. The next morning we hopped onto the tube for our trek to the airport and our long journey home. Our jet lag on the way home was a bit more challenging than on the way there -- I recommend flying back on a weekend to give your body a weekend to adjust back to your timezone. We flew in mid-week so we had to jump right back into work. Tristan and I continue to reminisce all the fun we had on our trip and we already can't wait for our next one! 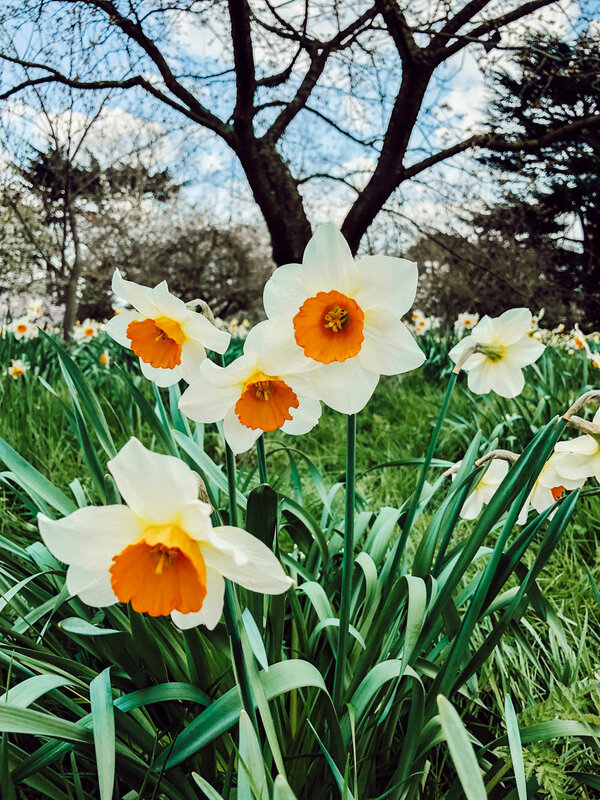 London is a magical city full of so many things to see and do and we feel fortunate we were able to do even a fraction of what the city has to offer during our stay. I hope this travel guide proves helpful as you plan your next (or first) trip abroad to London! Just beachy with A Mere Co.